UPPER WEST SIDE, Manhattan (WABC) -- Police are looking for a man wanted in connection with a sexual abuse incident in Midtown and near Lincoln Center. Around 3:20 p.m. on May 3, police said a man followed the 23-year-old female victim along the street near 1932 Broadway, pulled her by her arm and grabbed her buttock. The victim broke free and ran away from him. Around 8 a.m. on May 15, the same victim again encountered the suspect near 45th Street and Eighth Avenue, according to the New York City Police Department, as she was getting out of her car. The suspect tried to touch her, but she got back inside her car and locked the doors. The suspect banged on the hood of the victim's car before he fleeing, police said. 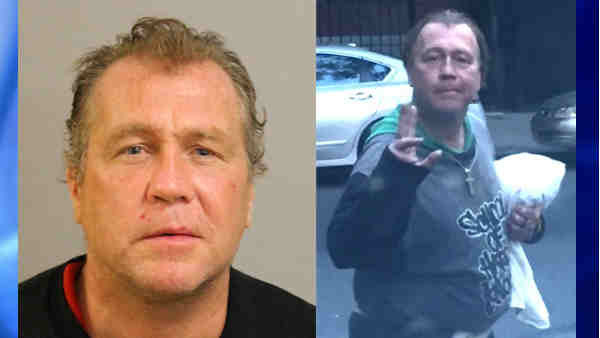 Police want to talk to Jeffrey Mahon, 49, of Hoboken, about the incidents.